"Nature Power turned into Tri Attack!" We used a similar format like last year but updated the move and of course the artist descriptions. Big thanks goes also to the editor team of freqrexy Hedgey and shinragod for writing the move and Pokemon descriptions! 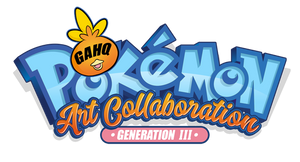 For more announcements regarding published galleries follow https://twitter.com/GameArtHQ Game-Art-HQ on Twitter. 2 - we are almost done. only 26 more illustrations are needed to complete the Gen III Tribute. Please look at them, the 26 Pokemon are listed below and you are welcome to take 1-3 of them to get this Project finished. Did I seriously do 16 entries for this thing? I swear it feels like I've done more... but that's what happens when there's a lot of empty space needed to get filled in! 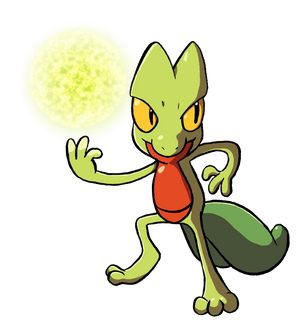 Anyway, Seedot was one of the unlucky ones that got left out - an exclusive to Pokémon Ruby and can be easily obtained via an in-game trade in Emerald, so I never really got to use it much. 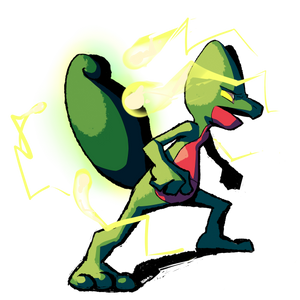 Neither do many meta-game players in the Little Cup - it's only really got one niche going for it and that's having access to the speed-boosting-in-sun Chlorophyll ability, the special-stats-boosting Growth and the big red button that is Explosion. It's just more of a nut-case if anything else (and excuse the bad pun!). But it does have access to a quirkier move in the form of Nature Power, which deals a move based on the location of the battle. You're more likely to see a wider field of effects when going through the story, but in link battles, you're stuck with sending out Tri Attack each time (Swift in Generation III, Earthquake in Generation V). Though, the introduction of Terrain moves in Generation VI means drawing a move from their effects instead of the battle location, so that made the move even more unpredictable! The sketch version was done as part of my 365 sketch challenge for 2018 over at my Tumblr. And I think I'm just about done - there's five more waiting to be completed from other artists, and hopefully they'll be done when the gallery gets finished in March. Which reminds me, it's off to edit some of the galleries again! Pokémon is a franchise put together by the folk at Nintendo. I drew this! Two weeks managed to pass, and slowly, Rowanwood started to show itself as a more peaceful sight upon the plains, and the animals started to roam carefully upon the hills and renewed scenery. But with every animal that went out on the plains, another one went inside the hut in the middle of the village. Spike's voice: So you know what that meant. We spent a couple of weeks in Rowanwood Village, plotting long and hard to re-trace our steps back towards the Chaos Emeralds. Within the hut, most of the girls were seen crowding around Speedway's desk, the lion himself looking down upon a map of the world. He then pointed his right paw onto a secluded mountainous area towards the Northern areas of the continent they were on. Speedway: I'm sure I detected the cyan one at the Ice Cap Zone area. Amy: What? But I can't go back there without my fur coat! Down below on the planet's surface, a cold wind started to blow across the hills, leaving the civilians to stop what they're doing and look up towards the skies, where the Egg Cheetah was seen flying high upon the sky. The cat-like flying battleship managed to remain steady within the air, but the surface of it showed an unsteady moment between Sonic's party and Eggman in his tiger-mech. The scientist himself was on the edge of exploding in a fit of sinister laughing at the scenario. During the time, another hatch opened behind them, causing the group to look behind them and see Meadow standing near a control panel. She looked on at Eggman with a more determined look upon her, hoping to inflict as much damage upon her enemies as he would get to do. Eggman: I told you that you won't last for long! Meadow, the turbines!! !